Yes Rumpy, taking a nap and resting are one of the most important things to dogs, cats and to humans!!! 😀 Sleeptime is our favorite time of day/night. Napping is pretty much the cure for any problem. 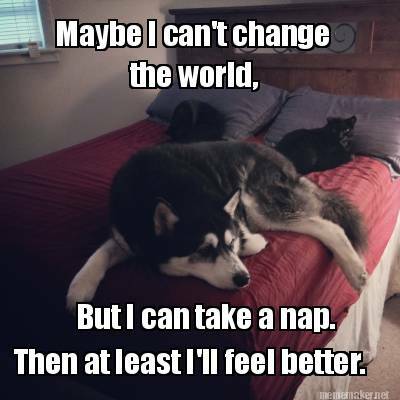 We are Champion Nappers, too! Now that the weather is cooler, it’s especially nice to find a sunbeam to bask in. Are Graybie and Little Girl napping with you? I’m with ya on that Rump!! come on over! There’s room for all of us…..a tight fit, but there’s room…..